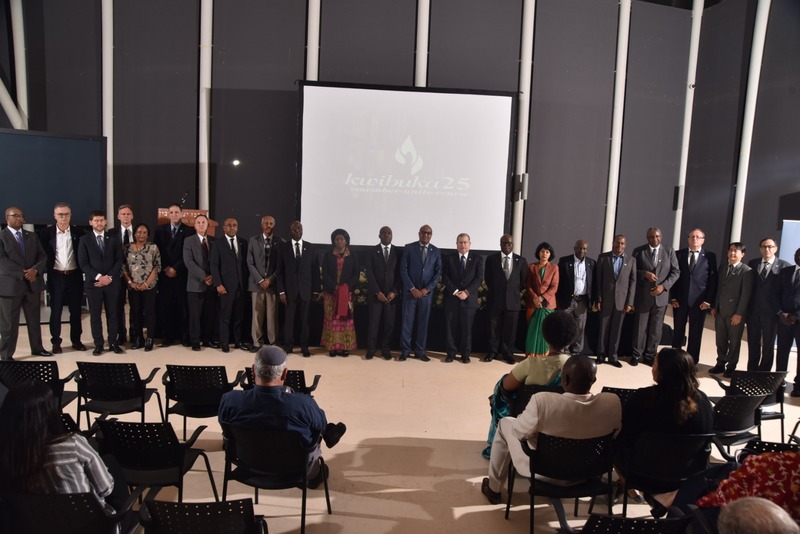 In a similar feeling, Rwandans living in Israel were joined by their friends and officials from Israel government in commemoration of the 25th anniversary of the genocide against the Tutsi. Both countries share similar worst human calamities of the 20th Century – the Holocaust and the Genocide against the Tutsi. 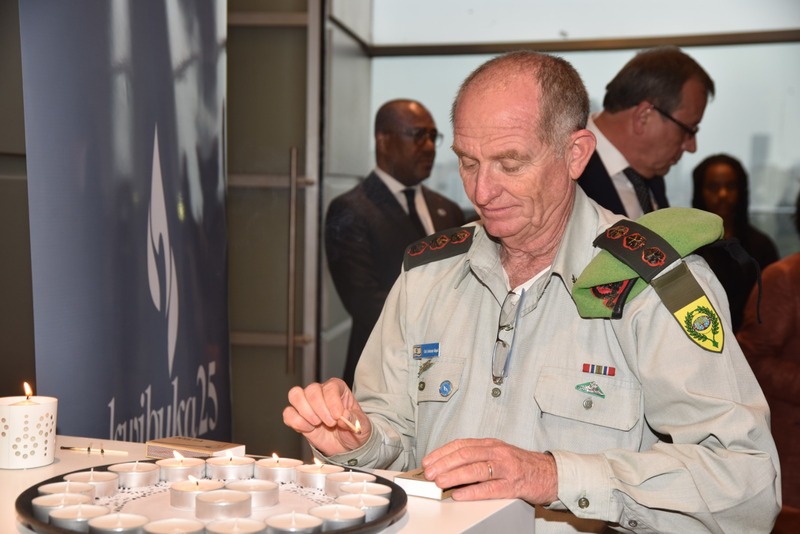 The commemoration event held at Yitzhak Rabin Center – Tel Aviv, was organized by the Embassy of the Republic of Rwanda in Israel. In his speech, Ambassador Col Joseph Rutabana echoed the genesis of the genocide against the Tutsi. 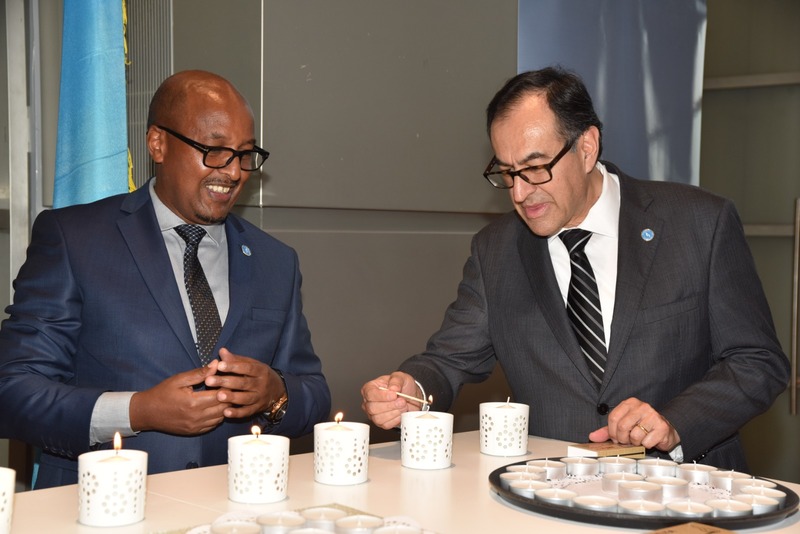 Drawing from this year’s commemoration theme; ‘Remember-Unite-Renew’ Ambassador Rutabana told mourners that the theme reflects Rwanda’s focus on the legacy of strength, resilience, and unity that the new generation is called upon to sustain. He said this would enable the continuation of the strides the country has been able to make over the past quarter of a century and carry forward the vision for its transformation. The ambassador added that the Government of Rwanda chose from the beginning to focus on unity, reconciliation and development; and has embarked on nurturing a vision of hope where Rwandans are now striving towards a dignified future and prosperity. The Guest of Honor, Amb. 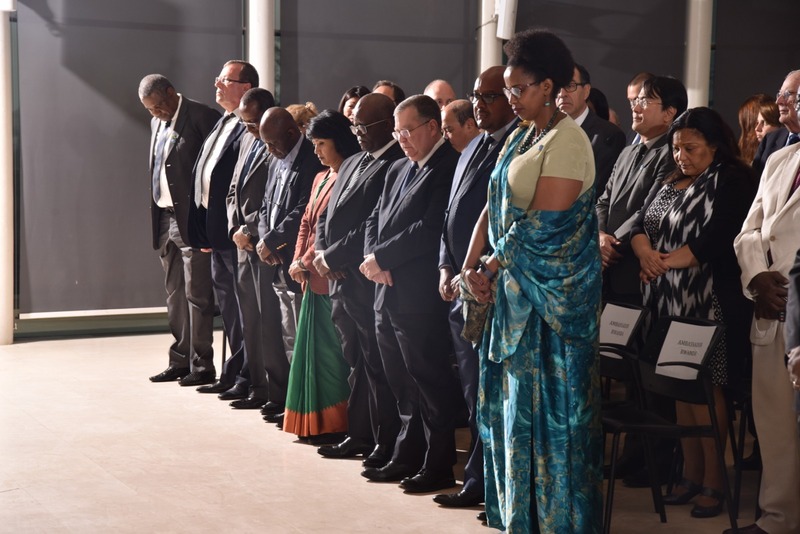 Elron Yoram, reminded the audience that twenty-five years have passed since the terrible Genocide against the Tutsi in Rwanda and lamented on how the International Community just watched and remained passive while people were being slaughtered. Amb. Elron Yoram expressed full admiration for Rwanda that has not only managed to survive after the Genocide against the Tutsi in 1994, but also to successfully bring about reconciliation, find healing and create a thriving society that is exemplary and should serve as a role model for other conflict situations.